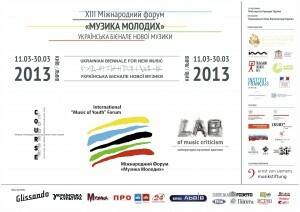 XIII International “Music of Youth” Forum will take place from 11th to 30th of March 2013. This year’s Forum will transform into Ukrainian Biennale for New Music with events both in Kiev and Lviv, though before it was located only in the capital. During three weeks composers and musicians from Ukraine, Poland, Russia, Czech Republic, Austria, Germany and France will showcase the actual tendencies in contemporary music to Ukrainian audiences. 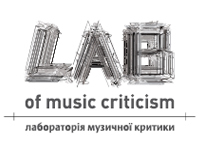 The Forum-Biennale project will contain of II Kiev International Master-Classes for New Music COURSE (from 11th to 16th of March, Kiev), the Laboratory of Music Criticism – LAB (22nd of March, Kiev; 23rd of March, Lviv) and fifteen concerts of new music in Kiev and Lviv from 11th to 30th of March. Project creators are paying a strong attention to the support of young Ukrainian composers and music critics on their way of growth and developing. 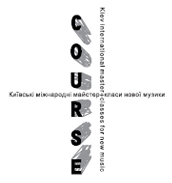 This initiative will be fulfilled in II Kiev International Master-Classes for New Music COURSE in particular. Three renowned composers from Europe will be the COURSE teachers this year. They are Carola Bauckholt (Germany), Martin Smolka (Czech Republic) and Dmitry Kourdliandsky (Russia). Nine young composers from Ukraine, Germany and Republic of Kazakhstan will be COURSE 2013 participants. Laboratory of Music Criticism – LAB will be headed by Polish contemporary music critic, Ruch Muzyczny magazine editor Monika Pasiecznik. She will give a public lecture called New Music Contexts dedicated to German philosopher Harry Lehmann in Kiev and Lviv. Monika will also present Polish magazines Ruch Muzyczny and Glissando and proclaim a foreword for Witold Lutosławski’s String Quartet performance by NeoQuartet. Fifteen concerts of new music performing more than seventy works of Ukrainian and foreign composers by invited ensembles are scheduled for Forum-Biennale. Lviv audiences will see three of these shows and the rest will be held in Kiev. New music fans in Ukraine will have a possibility to observe Austrian Platypus, French Le Balcon, Polish string NeoQuartet and German Ensemble musikFabrik as a special guest. Ukrainian quota will consist of accordionist Roman Yousipey, new music Ricochet ensemble, Ensemble Nostri Temporis, the National Ensemble of soloists “Kyivska kamerata” from Kiev and Lviv’s new music ensemble ConstantY. Master Klass Education and Culture House, Goethe-Institut Hall and National Composers’ Union of Ukraine welcome Forum-Biennale events in Kiev. All Lviv actions will take place in Lviv National Academy of Music under the name of Mykola Lysenko and Lviv Philharmonic Hall. 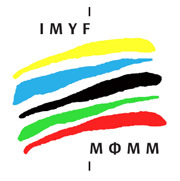 A concert of famous German Ensemble musikFabrik collective at National Philharmonic Hall in Kiev will be the closing act of XIII International “Music of Youth” Forum. 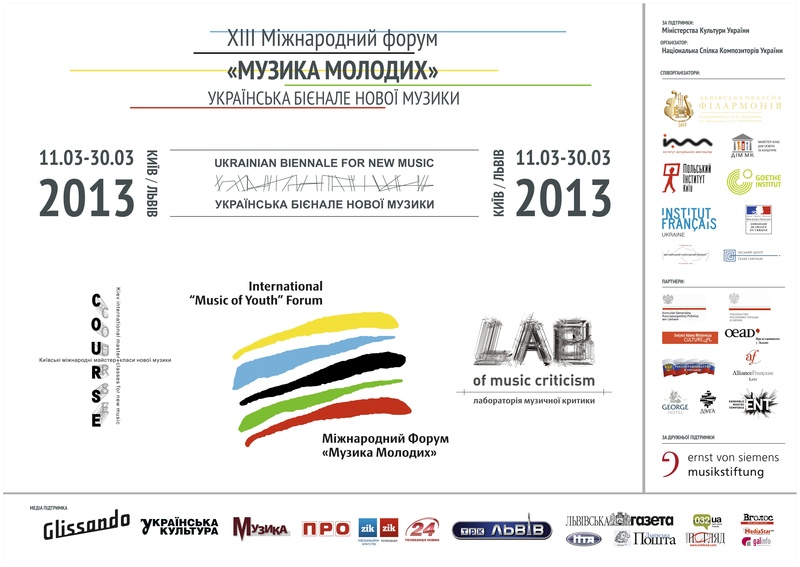 Ukrainian Biennale for New Music.